After back to back losses in 2012 to rising star Timothy Bradley and a knockout from long time nemesis Juan Manuel Marquez in their third rematch, Manny Pacquiao showed up naysayers dismissing his skills in the ring yesterday with a resounding victory against former WBO lightweight champ Brandon “Bam Bam” Rios at the Venetian, Macau. While Manny was understandably more careful, opting to pull a victory via unanimous decision rather than by knockout, it was a pleasure to see Pacquiao back to form. He seemed more relaxed entering the ring and more determined to prove that he is not yet ready to hang up his gloves. At the end of the night, the better fighter — the more experienced fighter outclassed the young up and comer and showed that he had a couple more fights left in him. Admittedly, the Pacquiao-Rios fight had a lot riding on it. Even Coach Freddie Roach was saying that if Manny did not win against Rios, he would be advising his star fighter to retire. But the Pacman proved that he has a bit more juice in the tank, enough to run circles around Rios and make the world believe that there are a couple more fights left in the eight-division world champ, once lauded as the undisputed best pound for pound fighter in the sport. Now, talks have re-emerged about the possibility of a superbout between undefeated trashtalker extraordinaire (although he has mellowed in recent years) Floyd Mayweather Jr. and the Filipino fighting pride, but we all know that that ship has sailed due to money issues. Floyd will not fight Pacquiao and risk his undefeated status. While the young Mayweather has all the advantages against Manny, Pacman is just too unpredictable a fighter and a showman to ensure a victory over. So, no. I don’t think Manny should fight Floyd. What I do want, however, is closure. Closure that can effectively seal Manny’s career and his status as one of the best boxers to every grace the sport. And he can only do this with these two fights. What I do want is a rematch between Bradley and Pacquiao. In June 2012, Bradley defeated Pacquiao in a controversial split decision at the MGM Grand Garden Arena in Bradley’s biggest fight yet. Bradley was not the top choice for the fight but after talks with Mayweather, Marquez and Lamont Peterson broke down, Bradley was the fighter who agreed to the terms of the fight and landed the main bout in Las Vegas. Coming into the fight, the betting odds were 7-2 in favor of Pacquiao but Bradley, despite being hurt by Pacquiao’s power in the first half of the match, found his footing and answered with a couple of flurries that swayed the judges’ attention in his favor. At the end of the match, he was able to prevail in two of the judges’ scorecards and pulled off a victory over the People’s champ, handing him his first loss in seven years. of course, the decision was contested by Manny’s camp. 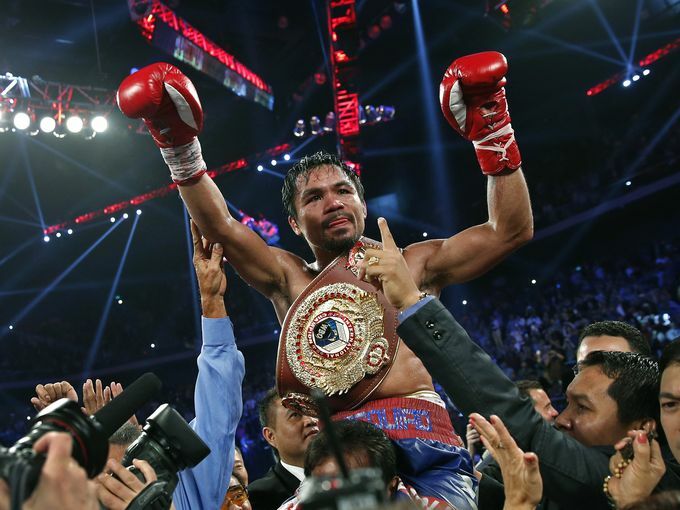 After a video review of the match by the WBO, all five judges ruled in favor of the Pacman. Unfortunately, the decision could not overrule the actual results of the match. So, yes. I want Manny to fight Bradley, if only to prove that he truly won the first fight. I believe Bradley had an effective campaign against Pacquiao the first time and it would be interesting to see whether it would still prove triumphant in their second face-off. Both fighters need to prove something and it would be exciting to see how this goes. Pacquiao and Marquez go way back. It is undeniable that this is one of the most followed rivalries in the sport and promoters for both fighters know it. In 2003, when Pacquiao was starting to make a name for himself in boxing, he and Marquez faced off in the MGM Grand in Las Vegas and started one of the most epic faceoffs inside the ring. The judges ruled a draw that night but both camps claimed to have the victory. As Pacquiao moved up the ladder and matched up against some of the toughest Mexican fighters in the field, an opportunity to seal the deal came in 2008 where a rematch was set between the two in Mandalay Bay, Las Vegas. But it would seem that these two were doomed to post controversial decisions in every match as Pacquiao won via split decision with a lot of protests from the Marquez camp. In 2011, the possible end to the trilogy saw light and the two battled in yet another controversial fight with Pacquiao emerging the victor. Many believed that Marquez won the fight and in an unprecedented event, a fourth fight was staged between the two combatants. It was obvious from the start that Marquez was the hungrier of the two, training way earlier than Pacquiao and stating in various press appearances that he will win decisively against the Pacman in their 2012 match up. Come fight night, Pacquiao was ahead in points but a lethal punch in the sixth round had Manny seeing stars. Marquez won via KO and said that he would not fight Manny again. But for fight fans, hopes springs eternal that the competition will be enough to lure Marquez back in the ring with Manny. I wasn’t really a big fan of the decision to go for a fourth match between the two because clearly, Manny’s style and Marquez’s skill as a counter puncher are really like seeing the same match over and over again. However, the grudge match angle on the part of Marquez (I haven’t seen Manny trash talk any opponent but Mayweather) seems to draw audience into the drama each and every time. And on that fateful last fight, Manny fell back to his old habits of being overexcited and careless, earning him a solid defeat in the face of his arch nemesis. Now that Marquez recently lost to Timothy Bradley, perhaps he would consider a final match with Manny to wrap up the saga. Manny has had a stellar career in boxing. Not only has he cemented his legacy as the best boxer that the Philippines has produced but by far, he has made his mark in the international arena as the only boxer to win eight division championships. And its because of hard work and the ability to grow with the sport. He continues to challenge himself but if I were to be completely honest, I would like to see Manny retire at the top of the game. In wining against Rios, he proved that he can still compete with the best of them but his age is slowly but surely catching up with him. His punches, while still powerful, are not the same as before. His speed is not the same. And that is completely okay. I would just like to see him tie up these loose ends and not fall prey to the lure of the fight purse like so many champions before him. I wish Manny will not lose sight of his goal of being the best champion the world has every produced — fight Bradley and Marquez and walk out of the ring with a resounding statement to end his stellar career. Pacquiao vs Marquez IV, anyone?